Our Prime Minister laid bare his regional biases when he implied recently that our Capital city is a hopeless economic case. But Mr Key would do well to remember that the regional economies are subsidising the infrastructure build up elsewhere. Wellington may have lost a few corporate head offices, but its economy is a lot more diverse and robust than that. Let’s look at what’s really going on in Wellington in the context of high value, export oriented, knowledge based business activity. According to economic think tank Infometrics, in 2011/12 the overall number of businesses in Wellington actually grew slightly, whereas in Auckland the number dropped considerably. 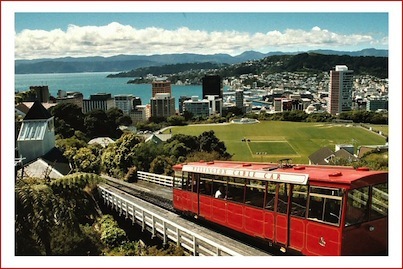 More importantly, Wellington has the highest GDP per capita of any New Zealand region. This is hardly surprising when we look at the emerging economic players. Activity in the screen and digital sector grew twice as fast as the New Zealand economy generally, with film, animation, gaming and software delivering a billion dollars to the region annually. Wellington has the highest intensity of knowledge based businesses per capita, a busy port, two universities bursting with fee-paying foreign students and an enviable and growing tourism profile globally. Wellington also boasted the highest number of New Zealand companies in the Deloitte Asia Fast 500, an international benchmarking initiative that identifies high growth ventures across Asia-Pacific. The only business types that decreased in Wellington were insurance and financial services. That is hardly surprising when you consider that insurance companies have little interest in the Wellington market post Canterbury earthquake and finance companies have been dropping like flies everywhere anyway. No great loss. It’s also no secret that government services have been operating with sinking lid staffing policies for some time amidst austerity measures. But despite fear mongering by public service unions, the actual number of staff affected has been minimal. Government sector makes up only about 10% of the regional economy (about the same as tourism income). Many of us have invested a huge amount of effort into building creative communities in our region that have underpinned the growth of high value, knowledge based businesses. In the context of a sluggish global economy, Wellington has held its ground relatively well, so it is certainly unfair to make comparisons with the other main centres, which have entirely different contexts at present. The government should also be reminded that the growing tax take in the regions is supporting spend-ups in other parts of the country. This entry was posted in Community, Economy and tagged economy, New Zealand, Wellington by Paul Spence. Bookmark the permalink.